This may seem hard to believe, but I have counted all of the royal icing recipes on the internet, and there are in fact a million and one. Don’t believe me? Check for yourself. Even though there are a number of royal icing recipes floating around, I am often asked which is the recipe I use. And then I blush and run away because I get scared when strangers talk to me. But enough about my issues. I have been using the same royal icing recipe for at least a few years now, and have decorated a more cookies than I can remember. It must be in the thousands by now. No joke. Here is the royal icing recipe I use for all of my decorated cookies. Yes, just three ingredients! And one is water, so that hardly counts. 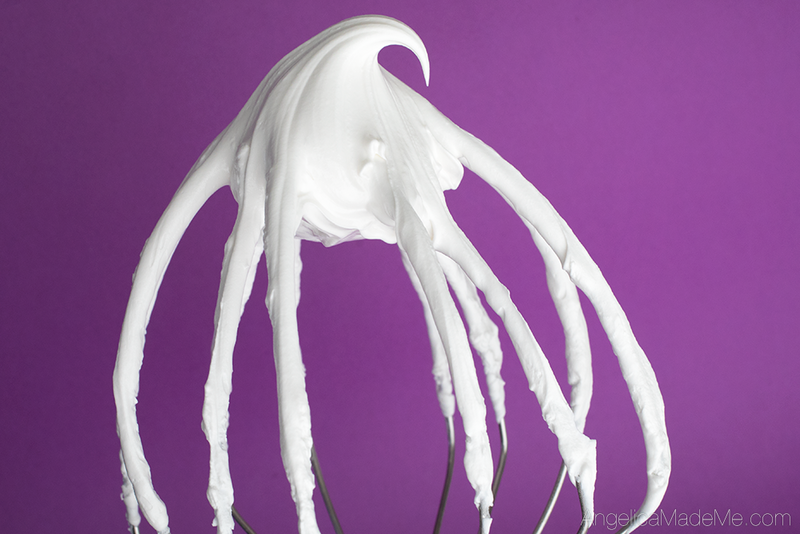 Stir the powdered sugar and meringue powder together in a standing mixer or large mixing bowl. With your electric mixer on low, slowly add in the 3/4 cup of water. Once the water is and sugar is incorporated, be sure to scrape the sides and bottom of the mixing bowl so no powdered sugar is stuck to the bowl. (The icing at this point will appear overly watery and pretty lumpy looking, but that goes away.) Increase the mixer speed to medium-high and continue mixing for approximately 3-4 minutes, or until your desired consistency is achieved. This recipe is enough for approximately 24 fully decorated cookies. I tend to double this recipe for my needs. 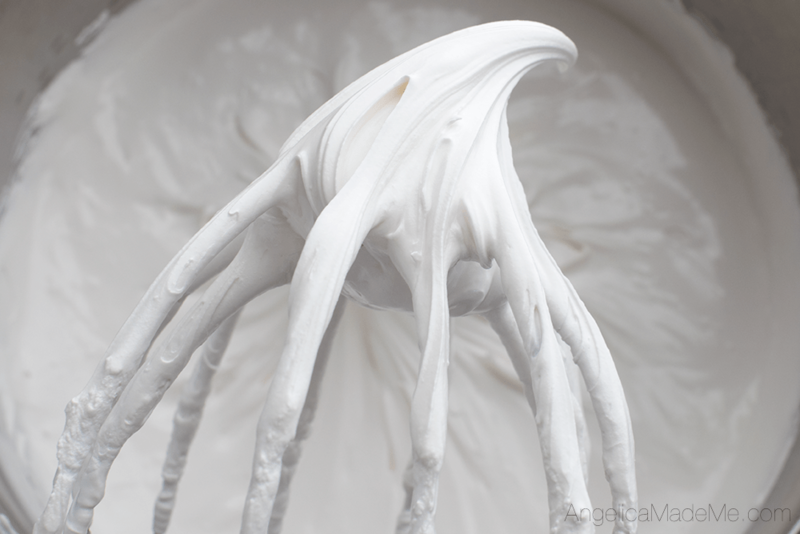 One thing you might notice in the photos is that I use a whisk attachment to mix my royal icing. Just about every other baker I follow uses a paddle attachment, so I would recommend trying both and see which works best for you. There are a couple of reasons I use the whisk. The first reason is because I always have and it works well, so I keep on keeping on. The second reason is that I usually make cookies and royal icing, one right after the other. So I use my paddle attachment for my cookie dough, which, badda bing badda boom, leaves me with a nice, clean whisk attachment for the royal icing. I usually mix to a thick icing consistency that is great for outlining cookies, which I get to after about 3 minutes of medium-high mixing. That is, thick enough to hold its shape and not run, but not so thick I will break a spatula trying to mix it. Yes, I have broken a spatula trying to mix icing before. I now try and avoid going to such extremes since royal icing with that level of stiffness is rarely of any use to me or any my cookie decorating. Royal icing is one of those things that takes time to master. It just takes practice to find what icing consistency works best for you and your edible art masterpieces. Next up: The different royal icing consistencies for cookie decorating. Until then, happy baking and cookie eating! Fun Fact: Google actually returns over 1.8 million search results when you search for “royal icing recipe.” So my million and one exaggeration “joke” is actually way fewer than reality. I can’t wait to try your recipe! Thanks for sharing it. Great recipe, thanks for sharing. Everything you post looks amazing!